Thank God Im in time for this weeks WBFC#20 and this time we will follow and support each others Google Plus 1. See the right upper corner of my page with "+1" sign on it? that's it participants and if you wanna be one of us and wanna join the fun all week searching from different blog sites? you are all welcome just do what I did and head over hear and Momy Rubz will take care of you for sure. Weekend Blog Follower Caravan is a simple online blogger-helping-blogger weekly meme. It was designed for bloggers to help each other in terms of blog followers either through Google Friend Connect and email subscribers. hope u could return the love. # 6 clicker here... hope to see you in my blog too! +1 for you and a KISS...miss U sis, I am on #23...see U at my blog. hi sis. 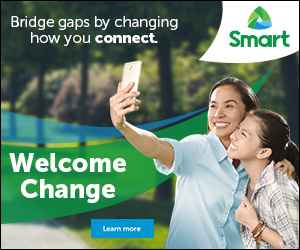 pwede bang pakiclick dito mismo sa homepage ko? yung pala kaseng +1 tab sa sidebar kapag nandoon sa page ay sa page counted. 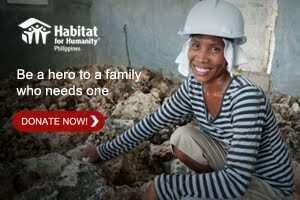 nagclick ako ulit sa mismong homepage mo.thanks in advance! Visiting from WBFC. Google'd +1 ur homepage.. yey!! By the way, I'm building my Blogroll. Let me know if you're interested and I'll add your badge or link. Thanks!! clicked +1 your site. :D I'm number 30 on the list. nasa main page po ang G+1 ko kc di ko mapalabas ba ibang pages…thx! Plus 1 for Anything and Everything's Free! Hope to see you back around! Hope you do the same. Done on G +1 here. My WFBC#20 entry is http://www.esupermommy.com/2011/08/google-1-for-weekend-blog-follower-caravan-20/. Hello! I dropped by from WBFC today to click +1! Done plus 1. am your 30th clicker. Clicked G+1 Homepage. Hope you'll do the same. Have a happy weekend, Ning! Hope you can join my Colorful Weekend din sometime.